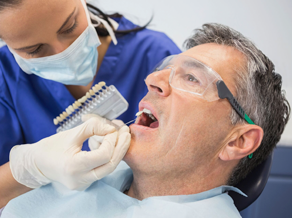 What to expect after root canal therapy? Usually, after an endodontic treatment, there comes a period of healing. If the therapy is successful, the tooth becomes fully asymptomatic or is without the sign of any infection related symptoms. Nonetheless, if you feel anything is amiss, do make it a point to visit your dentist as soon as is possible. If the infection has not fully be done away with, the symptoms will recur. It could even be that an infection, even if it were one which was less in intensity, may become really severe. This could even result in acute pain and swelling up. If it is not possible to meet up with the dentist immediately, at least phone him or her up to get a set of antibiotics prescribed for your condition. At times, a patient himself or herself does not realize that the problem has recurred. However, when examined via an X-ray, the issue may surface up. The x-ray could have been taken when you go for your routine checkups or when you were going for the after treatment of the root canal therapy. It is true that the nerve in question which touches this one treated tooth or teeth also touches other teeth. There could be an issue with another tooth or teeth and the past problem can reveal itself during an x-ray scan of the new one. Why does root canal treatment fail? There are a number of reasons why root canal treatment may not succeed. One, it is possible that the infected tooth or teeth has not been cleaned up properly. This will cause the infection to come back again. Two, it is possible that the seal created for the tooth has not been able to keep contamination elements out.